Myself and many others have reported issues with Reolink cameras that just don’t seem to be getting resolved. This is severly impacting the use of these cameras. Since Reolink seems to be ignoring these issues, I’m going to consolidate them here. Please feel free to comment below and I will update this post as things change. The need to “factory reset” your device every time you update your firmware. If you have a large number of cameras, this quickly becomes unmanageable. There should be no need to factory reset your cameras every time you update. Release notes that just say “fixed bugs” is unacceptable. What bugs have you fixed? The auto focus is touch and gets confused when snow/rain gets close to the camera. There needs to be a way to disable auto focus and lock in the existing focus. Reolink has still failed to release an API, which would allow many of us to work around some of the above issues. No way to disable the IR lights. 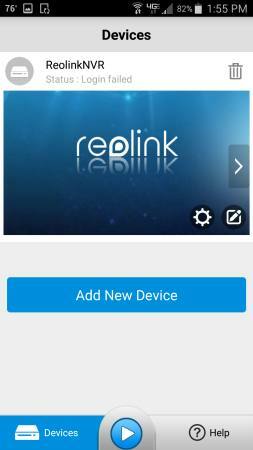 Reolink has reported this is a hardware limitation. There is no way to weather proof the existing connections. Reolink does include a poor quality RJ45 shield, but you still have the reset button and AC power adapter cable to deal with. Obviously these issues would require manufacturing changes. I have only had my my first Reolink camera a week or so but as several of your issues rang very true with me after a few hours of just “playing” with my RLC423 I thought I would add my voice to yours. Overall I’m very impressed with the camera. Its leagues above similar ones I had in the past but it does seem one or two rough edges need polishing to make it perfect. Point 1. Factory Reset. I can only imagine your pain. I’m sure this could well be an issue for large installations! Point 2. DDNS choice. Two does indeed seem miserly. There are plenty of others to choose from. Perhaps a more experienced DDNS user could offer Reolink some suggestions as to who else they should consider offering? Point 3. Release notes. My heart sank when I saw the words “bugs fixed” as the meat of the changelog. That says very bad things about Reolink programmers/support which I really, really hope are not true! I haven’t put my camera outside yet or had time to get to grips with your later points. I’m upgraded to the latest firmware. There is the option to display a “Balanced” profile stream, unfortunately there is no way to adjust or even know the parameters of this stream! When I queried this with Support the answer was “When you live view the camera, there is a minor difference between Balanced and Clear but Clear has something to do with FTP uploading”. Well I suppose its a step in the right direction and the reply was pleasingly prompt but if Reolink was my company I’m not sure I would want untidy software bit and bobs hanging out on my splendid hardware product! I’m also a bit disappointed that the administrator cant prevent a guest from changing their password or be granted access to the PTZ panel. The paperwork is painfully thin on suggestions for how to use the audio in function on my particular camera too! I’ve taken the plunge and splashed the cash on one of these. I ought to have it connected in the next few days. I was also quite surprised (very disappointed!) that my outdoor PTZ has no audio out function or a couple of opto coupled I/O ports either but perhaps that’s in the next camera coming down the line? I hope this reply spurs others to speak up with their comments too! Thanks for this thread. I’d like if someone else can confirm this issue. I disabled the built in P2P option for security purposes (I’m not comfortable with my system being accessible via a remote server that I can’t vouch for). Instead I use DDNS (free through no-ip.com) and port forward through my router. This works fine, however I have an issue on the mobile app. The app defaults to P2P access every time I open the app and try to login. I’ve reinstalled the app and deleted all of my connections and re-added them, but still no luck. 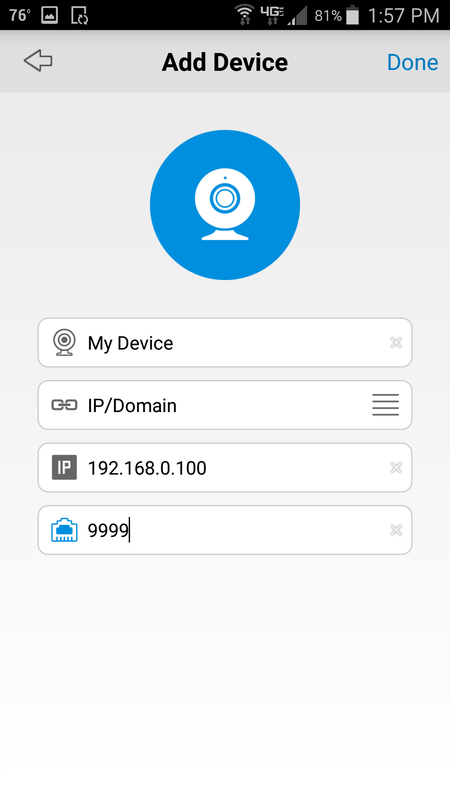 The work around is every time I load the app, I go into the configuration and press X to delete the P2P address, then swap it to IP and start live view. If I don’t delete the P2P entry first, it will pop up an error that the device already exists. This happens on both iPhone and Android apps. Also I started a thread on HTTPS & encryption on the system neither of which appear to be offered. Not having HTTPS capability at the very minimum is a huge security flaw and because of that I could never recommend this system to a business. It’s likely the mobile app also has no encryption and therefore all passwords are passed in plain text. Cameras are notorious for getting hacked and internal networks can become accessible once the cameras are breached and the attacker loads their own firmware. One other issue with the weatherproofing, even with the existing weatherproof ethernet piece included, it only works if you pass the cable through without the connector on it. This means it doesn’t work with the included ethernet cables that are provided with the kit systems. You’d have to cut the end off one side and re-crimp it to use the weatherproof option. For my personal setup, I used a piece of PVC and cut out notches for the cables and put caps on each end. They’re not directly in the weather so for me this is good enough. I’d place them in direct weather if I glued the caps on and used silicone to fill the wire holes. It also wouldn’t look very good except I have white vinyl and it’s pretty unnoticeable. I just wanted to provide an update of the Android app issue I have. I have emailed this to Reolink support as well, so hopefully they’ll come up with a fix. I’m waiting to hear back. Please see the following list of screenshots and I will explain each one. I have deleted all of my devices, so the app is empty. Now the software automatically sees my NVR on the local network and adds it. But login failed. (It did not ask for a username/password yet, so I’ll try that. It should ask for one automatically). I open the device configuration page and put in the username & password. You can see that the UID and the IP both show up. However, I have UID disabled in the NVR so it should not be broadcasting at all. Now that I have put the password in, I try to log into my NVR. 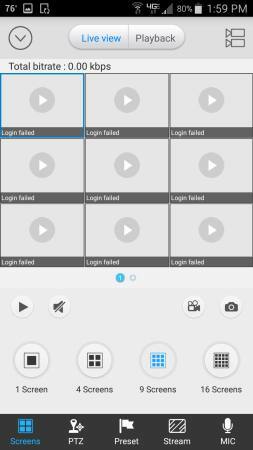 But login still fails because it is trying to use the UID instead of the local IP. 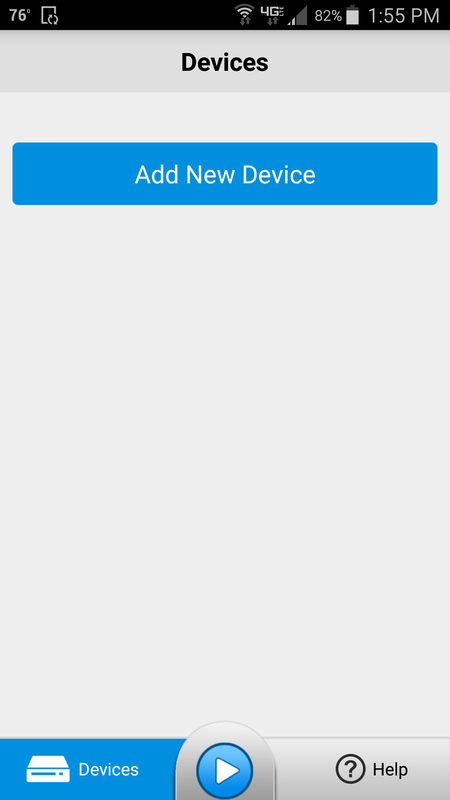 So I delete the device again, and then I click “Add New Device” before it automatically adds again. I put in the details making sure to choose IP instead of UID/P2P. I will continue in the next post since I can’t add any more attachments. I click done and it takes me back to the device list. Again, I cannot login because I have not entered the username/password. (Please these details back to the new device page. I should not have to add the device and then edit the device to put in the credentials). I enter the username and password and save it. Device login is finally successful when I go back to the device list. I test the cameras and they work. So I close the Reolink application, then I re-open the application immediately. It tries to log back into the same device, but it fails. This happens over and over again. There was a similar issue on the previous version of the app, but the screens were slightly different. So in summary, we need a fix for the following items. Username/password fields to the “add new device” screen. The “add new device” screen should like the same as the “edit device” screen. 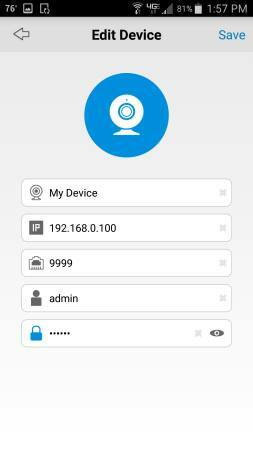 Add a prompt for username/password whenever a device is automatically added to the device list. Change the settings for the Android application so the physical “back” button on the phone will function the same as the button at the top left corner of the screen. When I try to use the physical “back” button on the phone, the application tries to shut down instead. As I said before, the iOS app has similar issues. 1, Firmware upgrade restores device if you check “update configure file” when upgrade firmware. Updating configure file helps removing bugs/problems remain with old firmware and ensures new firmware works completely on your Reolink device(s). a, we suggest customers to check this option if upgrading firmware from V160708 or older. b, for WiFi cameras, please kindly note that SSID and password of the WiFi setting will not be restored with firmware V161029 or later. 2, Please let us know which provider you use? We would like to add DDNS server(s) to improve our product and service but it depends mainly on how much demand from our customers. 3, Main improvements and fixes introduced to new firmware are now included in release note and pushed by email and included in the firmware .zip. Please kindly check if you received it and please let us know if anything we can improve on it. 4, We saw the request calling for an option for auto-focus, and this request has been forwarded to our R&D engineer last December to see if it is possible in future upgrade. a, camera will only auto-focus again when it goes through a power cycle. b, camera will fail to auto focus when there’s moving objects in front of it and it is dark light. c, focus of cameras is in the center of it, it is normal that camera fail to focus when objects are too close to camera. 5, We are in cooperation with Blue Iris to keep improving our ONVIF compatibility with their software. Blue Iris reports that some of the issues may related to RTSP and they are helping us to arrange tests on it to solve this in future upgrade, we will also do the best our part with them to better solve this problem, but I am afraid this may take time to solve. It is a long-term work to keep ONVIF compatibility works well when both Reolink and ONVIF soft-wares keeps upgrading to improve its products. Problems may occur when either part release upgrade and it takes time for us to find the problem and arrange tests before we can solve them. We are sorry for the inconvenience caused accordingly but also thanks for your understanding and support. 6, Please refer to the attachment for the available CGI command. Sorry that CGI not provided in this .pdf are not available for personal users so far. 7, No, it is not available to disable the IR lights except C1, C2 and Keen. Other models do not support to disable IR lights because of hardware limit as you mentioned. 8, One easy and cheap way to make the reset button and power waterproof is to wrap them with insulating tape. Last but not least, we appreciate it very much for your suggestions and support all the time, we are always willing to try our best to improve our products and customer service. At first there was absolutely no audio from the camera using either the Windows Client or via its web interface. The camera running the latest firmware. However if you use the Android app to access the camera settings, under Device Settings, Encode there is an extra tick box to enable the audio input. Once this was enabled audio could heard via the browser, Windows program and Android App. The audio itself was a bit muffled and dstorted until I adjusted the output level of the mic to match the input of the camera but once set was good quality. The Android app also gives you proper access the the “Balanced” profile stream which is not available via the Windows Client or browser. Thanks Dominic for sharing this post. Three month check in and none of these issues has yet to been resolved. you still must reset the camera to factory during the update process. These needs to get resolved, and resolved now! This has already been posted, 6 months ago, and still not included. afraid.org and duckdns.org. Seems like only minimal updates on each release. What is Reolink really doing? No updates on this yet apparently. Reolink cameras are still horrible with Blue Iris. This also needs to get fixed and fixed NOW. We’ve been asking for an API for almost a year, still nothing. When are we going to get an API/CGI? 1, Firmware upgrade restores device if you check “update configure file” when upgrade firmware. 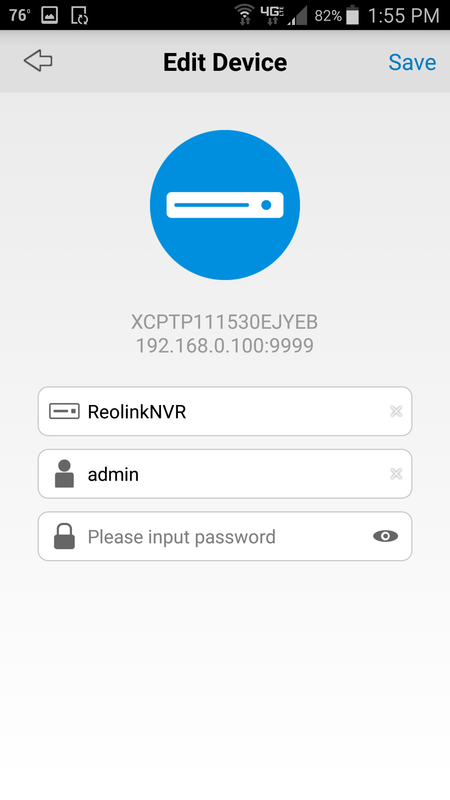 Updating configure file helps removing bugs/problems remain with old firmware and ensures new firmware works completely on your Reolink device(s). We understand the inconvenience that restoring brings to our customers, and we will try to find a way to improve the firmware upgrade to be easier. But before that: a, we suggest customers to check this option if upgrading firmware from V160708 or older. b, for WiFi cameras, please kindly note that SSID and password of the WiFi setting will not be restored with firmware V161029 or later. 2, Please let us know which provider you use? We would like to add DDNS server(s) to improve our product and service but it depends mainly on how much demand from our customers. 3, Main improvements and fixes introduced to new firmware are now included in release note and pushed by email and included in the firmware .zip. Please kindly check if you received it and please let us know if anything we can improve on it. 4, We saw the request calling for an option for auto-focus, and this request has been forwarded to our R&D engineer last December to see if it is possible in future upgrade. That means it is still not available to lock/turn off auto focus so far, but some tips regrading auto-focus you may want to know: a, camera will only auto-focus again when it goes through a power cycle. b, camera will fail to auto focus when there’s moving objects in front of it and it is dark light. c, focus of cameras is in the center of it, it is normal that camera fail to focus when objects are too close to camera. 5, We are in cooperation with Blue Iris to keep improving our ONVIF compatibility with their software. Blue Iris reports that some of the issues may related to RTSP and they are helping us to arrange tests on it to solve this in future upgrade, we will also do the best our part with them to better solve this problem, but I am afraid this may take time to solve. It is a long-term work to keep ONVIF compatibility works well when both Reolink and ONVIF soft-wares keeps upgrading to improve its products. Problems may occur when either part release upgrade and it takes time for us to find the problem and arrange tests before we can solve them. We are sorry for the inconvenience caused accordingly but also thanks for your understanding and support. 6, Please refer to the attachment for the available CGI command. Sorry that CGI not provided in this .pdf are not available for personal users so far. 7, No, it is not available to disable the IR lights except C1, C2 and Keen. Other models do not support to disable IR lights because of hardware limit as you mentioned. 8, One easy and cheap way to make the reset button and power waterproof is to wrap them with insulating tape. Last but not least, we appreciate it very much for your suggestions and support all the time, we are always willing to try our best to improve our products and customer service. 1, Resetting camera is not a must-do during the firmware upgrade. Only when you check “update configuration file” will the firmware upgrade resets the camera.You may leave this option unchecked if you do not want the device resets. We recommend to check “update configuration file” when upgrade file in order to ensure new firmware works completely on your Reolink device(s). We treasure any feedback of our product and customer service. 2, afraid.org and duckdns.org are not supported for Reolink camera so far. You may like to refer to /faq/how-to-remotely-access-reolink-products-if-uid-does-not-work/ for no-ip setup. As for more other support, it depends mainly on how much demand to add them from our customers.If demands are large, we will forward requests to engineers for further development. 3, Please kindly note that option to enable/disable “auto-focus” has been added in the firmware released earlier on February. If you still cannot find the “auto-focus” option, please kindly send us email to support@reolink.com for tech support. 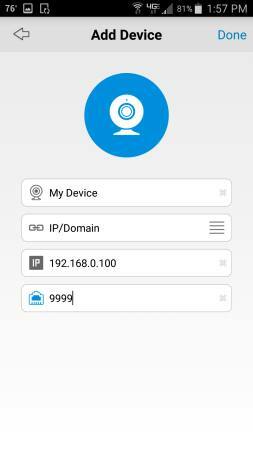 4, We have been working with BlueIris to improve the compatibility between our device and the BlueIris software. But sorry that we still do not have a clear idea what is the problem of your Reolink device with the BI software. If you may kindly send us email to support@reolink.com and let us know more detail about your situation, we will try our best to help you to solve the problem. Any description of your situation or screenshot(s) to show the problem will be greatly appreciated. 5, All available CGI has been attahced in the PDF provided. Please kindly note that CGI not included in the file are not available for personal users so far. 1) I just upgraded to the lastest firmware w/o resetting and many of my settings, especially pertaining to email where wiped out. 2) I have configured a camera with NO-IP but my no-ip host is not getting updated. There is no “test” button like there is with the email configuration. So I have no idea how often the cameras push an update to no-ip. Is it on a regular interval? Only when a change occurs? There is no way to test or debug this feature. 3) I will look at this. 4) I am having the same Blue Iris issues that everyone else has reported on this forum. There was a good thread on the issue, but search is not finding it now. 5) The attached CGI is in-adequate. It only shows how to grab a snap shot. Reolink needs to document how to do everything possible. We’ve been waiting more than year for this support. Meanwhile you keep releasing new products. How about making the stuff you have released and are currently selling work first? Where is the disable auto focus feature? I looked everywhere and do not see it. I configured an RLC-422 for NOIP.COM and it’s not updating the IP of the hostname. I have quadruple checked everything. Why isn’t NOIP updating working? I am using the latest firmware downloaded yesterday. I neither can find the “disable autofocus” setting on my RLC-423. Are the focus settings now saved with the PTZ-Presets? Where do I find the feature? reol, you need to have your camera firmware and Reolink Client software version updated. And this is only for Web client or desktop Windows client, not for mac client yet. Focus are not saved with presets.